Airline pilot found dead in home: Florida authorities on Tuesday appealed for the public's help in the case of an American Airlines pilot who was found dead of an apparent homicide in his Pompano home. Haiti's 'Baby Doc' taken into custody: Extraordinary drama unfolded Tuesday in Port-au-Prince as charges were filed against former Haitian dictator Jean-Claude "Baby Doc" Duvalier, government sources said. Regis Philbin announces retirement: After more than 40 years in television, Regis Philbin is retiring from the small screen. Two teens shot at California high school: A 17-year-old boy arrested after a handgun in his backpack accidentally discharged and wounded two other high students Tuesday was able to bring his automatic pistol on campus apparently because the Los Angeles school does only random metal detector checks, police said. Boy, 14, kills 2 family members: A 14-year-old South Carolina boy used the rifle his father bought him as a birthday present to shoot the man to death, along with a great-aunt, and critically wound his grandmother. Despite what talk radio and late night comedians may say, China does not own the U.S. Treasury Department. Numbers show that 75% of Uncle Sam’s growing debt is in the hands of U.S. interests. Of the international lenders, China is owed the most, just under $900 billion. But with America’s debt approaching $14 trillion, that’s not even 7% in Chinese hands. Of course, if China were to suddenly call in its notes, it would cause chaos to the U.S. economy. But Christina Larson, a China analyst with the New America Foundation, says Beijing and the rest of the world still consider taking on debt from the United States a safe bet. "China needs a place to park its capital and there’s no place that's as stable, easy to purchase and feel safe in as the United States." Yes, Uncle Sam pays its interest, even if it has to borrow to do so. And, of course, with our stores filled with many goods made in China, the trade deficit has become a political hot potato. Yet, while China is the largest exporter in the world, the CIA Factbook reveals Germany is a close second, with the United States the No. 3 exporter, less than $200 billion behind China. The outsourcing of manufacturing to China gets a lot of play in the United States, where fewer things are stamped “Made in America.” Experts say many of those jobs will never come back. One nagging issue is the notion that China keeps its currency low to make its goods considerably cheaper to U.S. consumers. It’s a valid point that Beijing addresses every so often. President Barack Obama will, no doubt, push Chinese President Hu to do more on that front. Hu also has domestic conundrum to deal with, analyst Christina Larson said. China has "to absorb millions of people every year into the labor market to prevent the dreaded social unrest," which will always be the top priority of the Chinese government, she said. "They have an oversupply of people at this moment who've graduated from colleges and aren’t able to find high skilled jobs. An interesting fact that between now and 2030, there’s expected to be about 350 million people who move from the countryside to cities in China. That’s more than the entire population of the entire United States." With the U.S. a much smaller market, in terms of population, China must turn inward to create a better consumer climate so Chinese people with extra money can buy the things they make, Larson says. U.S. stocks showed surprising resilience Tuesday, closing higher as shares of Boeing and other industrial names rose, offsetting weakness from Citigroup and Apple. The Dow Jones industrial average added 50 points, or 0.4%. The broad S&P 500 index edged up nearly 2 points, or 0.1%. 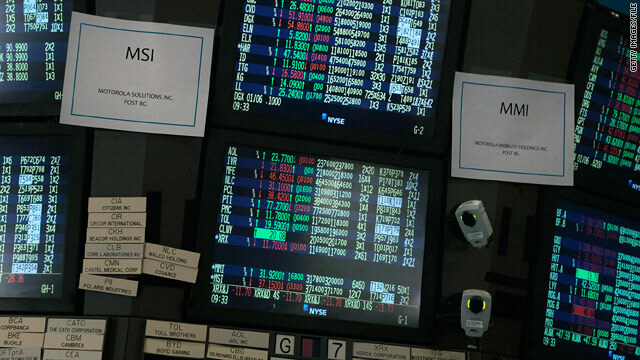 The Nasdaq, a proxy for the technology sector, added 10 points, or 0.4%. 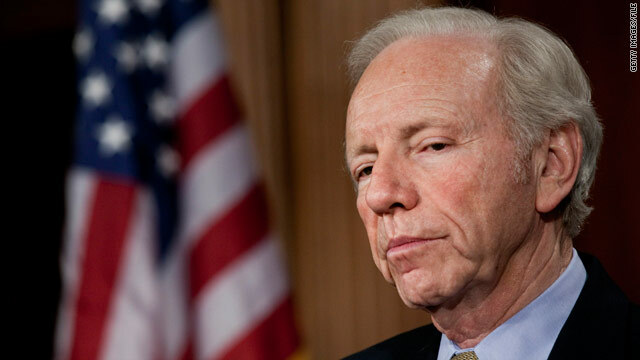 Sen. Joe Lieberman, the independent from Connecticut, is planning to announce Wednesday that he will not seek re-election in 2012, according to two knowledgeable Democratic sources. The move by the former Democratic vice presidential candidate could add even more murkiness to the party's hopes of hanging on to its slim majority in the Senate in the 2012 election, especially coming on the heels of the decision of Sen. Kent Conrad (D-North Dakota) that he will not seek re-election at the end of this term. While Lieberman is an independent, he has aligned himself with the Democratic leadership for organizational purposes, helping to boost the Democratic majority on issues like health reform. Earlier Tuesday, former Connecticut Secretary of State Susan Bysiewicz announced that she is planning to get into the 2012 Democratic primary for Lieberman's seat regardless of what the incumbent does. Reps. Chris Murphy and Joe Courtney are also considering Senate bids, while various Republicans are mulling their options. 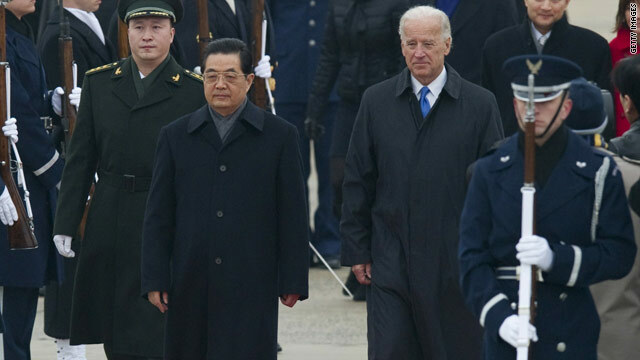 Chinese President Hu Jintao arrives at Andrews Air Force Base in Maryland for a full state visit. 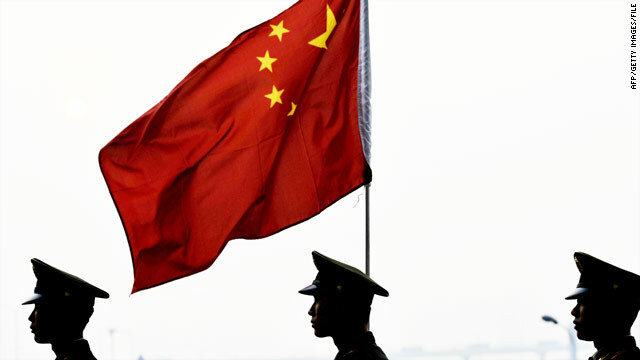 China, the new landlord of the United States: China is the largest foreign holder of U.S. debt. Despite that, many politicians are talking tough about China's artificially low currency and how it affects our trade relations. Why China matters: China has by far the faster-growing economy, even though the U.S. is still three times as large. And an increasing number of schools are adding Chinese language classes to their curricula. Crime-torn city losing half its cops: Camden, New Jersey, is struggling to close a $26.5 million budget gap. To make that happen, its boys in blue are cutting jobs. But they’re not alone. Nearly 25% of cities said they were cutting their public safety budgets in 2010. 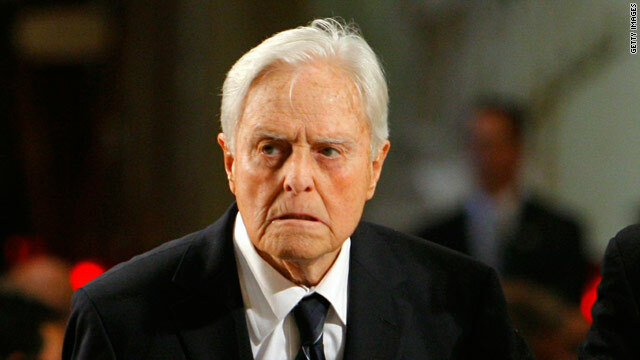 Sargent Shriver attended a funeral service for his brother-in-law Sen. Edward Kennedy in August 2009 in Boston, Massachusetts. R. Sargent Shriver, who was responsible for launching the U.S. Peace Corps after marrying into the Kennedy family and joining John F. Kennedy's White House, has died, a family source told CNN. Shriver, whose full name was Robert Sargent Shriver, was 95. He had suffered for years from Alzheimer's disease. After overseeing the Peace Corps launch in the early 1960s, Shriver went on to serve subsequent presidential administrations and kept up his activism throughout his life, becoming a chief architect of President Lyndon B. Johnson's war on poverty and later heading the Special Olympics, which was founded by his wife, Eunice Kennedy Shriver. 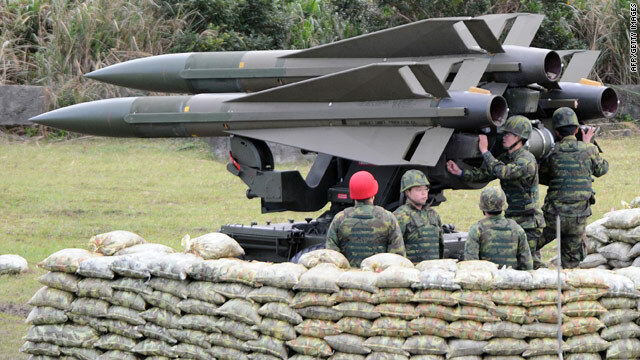 Taiwan reportedly tested 19 missiles on the day Chinese President Hu Jintao left for talks in Washington. The timing is odd, for sure, but Taiwan’s president says Tuesday's missile test had nothing to do with Chinese President Hu Jintao’s visit to Washington. The Taipei Times reported that President Ma Ying-jeou was not exactly pleased with the test results. Of the 19 missiles fired, some of which were U.S.-made, six encountered technical difficulties. One, an American AIM-7 Sparrow, ascended 200 yards “before radically changing direction and plummeting into the South China Sea,” the Times reported. Four others failed to detonate. The paper said that 576 members of the armed forces participated in the drills. Several media outlets pointed out the noteworthy timing of the test, which came on the day Hu left for the United States. Wednesday morning in a remote area of southwestern Pakistan, the U.S. Geological Survey reported. 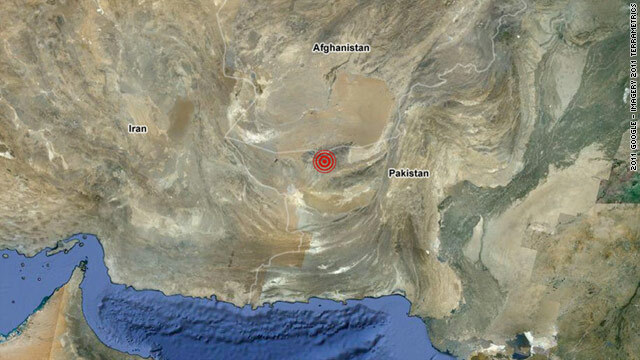 The earthquake occurred at 1:23 a.m. (3:23 p.m. Tuesday ET) at a depth of 84 kilometers (52 miles). It was centered 45 kilometers (28 miles) west of Dalbandin; 255 kilometers (158 miles) west of Kalat; 310 kilometers (192 miles) east-southeast of Zahedan, Iran; and 1,020 kilometers (633 miles) west-southwest of Islamabad, Pakistan, the USGS said on its website. USGS initially reported the quake at 7.4. Quakes of 7.0 to 7.9 are classified as major; anything over 8.0 is classified as great. Police said two teens were taken to a hospital, including a girl who was in critical condition with a gunshot wound to the head. Gardena High School in California has been caught and handcuffed by police, according to footage aired by CNN affiliate KTLA shortly before noon PT. "The student in custody was the student involved in this morning's shooting," Robert Alaniz, a spokesman for the Los Angeles Unified School District, told CNN affiliate KCAL/KCBS. 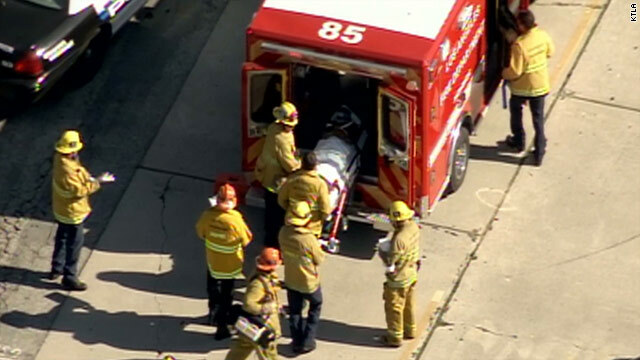 Los Angeles Police Deputy Chief Patrick Gannon told reporters that the shooting appeared to be accidental. A student brought the gun to school in a backpack, and when the student set the backpack on a desk the gun discharged, wounding two students, he said. A 15-year-old girl was in critical condition with a head wound, and a 15-year-old boy was in stable condition with a neck wound, Gannon said. 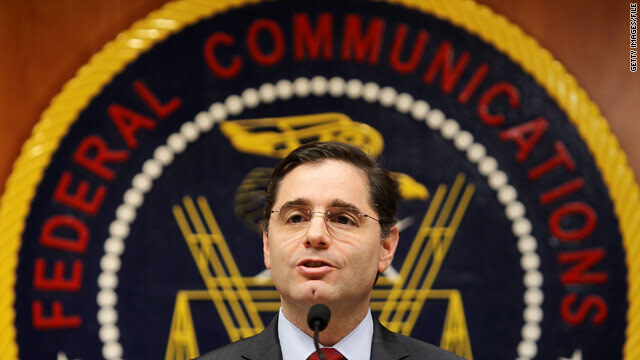 Filed under: California • Crime • U.S.
"After a thorough review, we have adopted strong and fair merger conditions to ensure this transaction serves the public interest," FCC Chairman Julius Genachowski said in a statement. The FCC voted 4-1 in favor of the deal. The FCC said the Comcast-NBC Universal combination will be required to take steps to increase competition in the video marketplace. The merger will also require Comcast to expand local news coverage, expand programs for Spanish-speaking viewers and offer Internet access to schools and libraries. 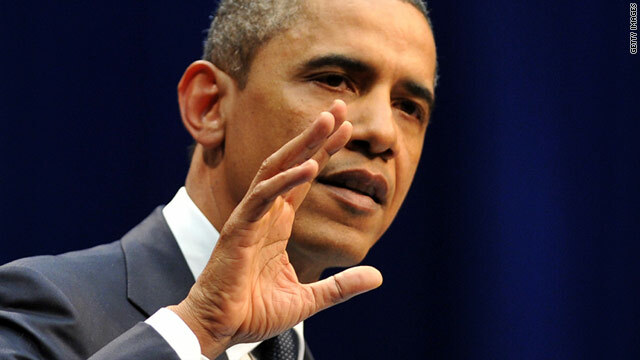 President Obama said he aimed to balance health, safety and environmental regulations. President Obama, in his latest effort to patch frayed relations with businesses, signed an executive order Tuesday intended to "strike the right balance" between health, safety and environmental regulations and economic growth. The president, in an op-ed piece in the Wall Street Journal, wrote that his order will prompt "a government-wide review of the rules already on the books to remove outdated regulations that stifle job creation and make our economy less competitive." The business world has locked horns with the Obama administration over such legislation as health care and financial reform that the president signed into law last year. In his annual State of American Business address on Jan. 11, U.S. Chamber of Commerce President Tom Donohue targeted the "web of red tape" in health care, financial reform and energy regulation as holding back economic recovery. After his Democratic Party suffered a big defeat in the November midterm election, losing control of the House, the president promised to improve his ties with business. Low-income and minority elders may need to rely more on home health care because of lack of access to nursing homes, a study suggests. 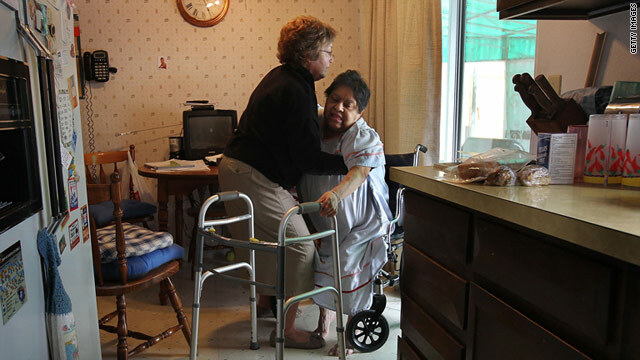 Here, registered nurse Susan Eager, left, helps up Jane Awise at Awise's home in Thornton, Colorado. Nursing home closures in the United States tend to be concentrated in areas that are less affluent, more black or more Hispanic, a study in a leading medical journal has found. Between 1999 and 2008, there was a net loss of more than 5% of nursing home beds, with a significantly higher risk of closure in ZIP codes with a higher proportion of blacks or Hispanics or a higher poverty rate, according to the report published online Tuesday by Archives of Internal Medicine. During the years studied, 1,776 freestanding nursing homes closed, representing 11% of the total, compared with 1,126 closures of hospital-based facilities: nearly 50%, wrote the authors, led by Zhanlian Feng of Brown University. Nursing homes in the nation's poorest ZIP codes were twice as likely to close as those in the most affluent areas. In the four ZIP codes with the highest percentage of blacks, nursing homes were 38 percent more likely to close than those in the four ZIP codes with the lowest concentration of blacks. The numbers for Hispanic populations were nearly identical. Filed under: Health • Health Care • U.S.
Florida authorities on Tuesday appealed for the public's help in the case of an American Airlines pilot who was found dead of an apparent homicide in his Pompano Beach home. Russell Christopher Walker, 50, was found dead by authorities conducting a welfare check about 10:30 p.m. Friday, the Broward County Sheriff's Office said in a statement. 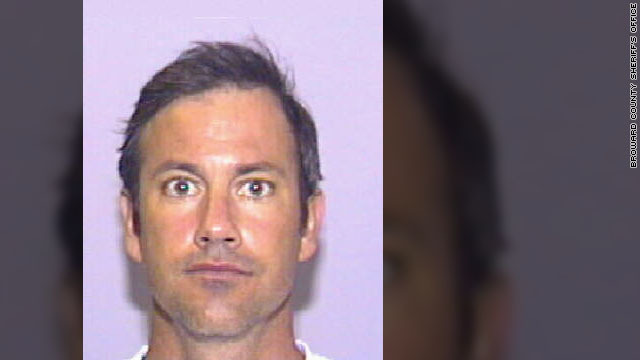 Walker had not been heard from for seven to 10 days before he was found, the statement said. It does not say how police believe Walker died or offer any other details. Anyone with information about Walker's death is asked to contact the sheriff's homicide department, the statement said. Video games mounted above urinals, seen on Sega's Japanese site, are being tested in Japan this month. Sega’s latest video game is in the toilet, but that doesn’t mean it will tank. 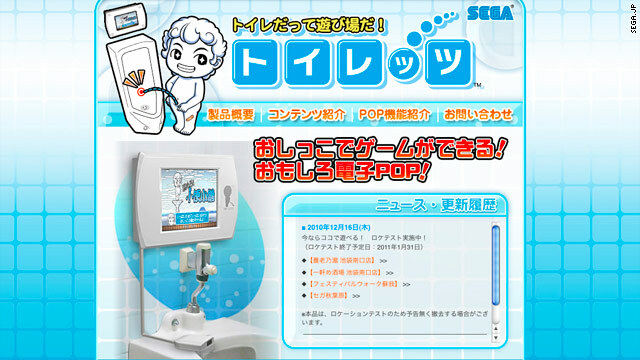 The Japanese company is testing Toylets – video games for urinals – at four locations in Tokyo, according to news reports, including one from Japan’s Akihabara News. Wanna play? It’s probably best to fill up on beverages first, because the best scores come from the strongest streams. A pressure plate in the urinal measures what you’ve got. Then choose one of four games on video screens mounted above the urinals. There’s the “Graffiti Eraser”: The stronger the stream, the more cyberwalls you can clean up. Or try “Milk From Nose.” This is a multiplayer game. Your stream is measured against those of previous users and translated into milk blown from a character’s nose. The strongest nose-blowers pushes the opponent out of a ring, and we have a winner. Your opponent need not be present to play. Another game equates stream strength with a gust of wind blowing the dress off a girl. It’s not all fun and games. You get to watch advertising while you go, er, compete. Wired UK reports that the testing phase will last through the end of the month. Drink up! Rather than focusing on her opening day win at the Australian Open, media outlets seem fixed on Venus Williams' dress. The elder Williams sister is at the Australian Open without her sister Serena, and she dismantled Sara Errani in straight sets, yet the storyline on the 30-year-old tennis champ revolved around a little blue dress. The New York Daily News penned the verbose headline, “How short is that skirt? Venus Williams’ mini-dress at Australian Open turns heads.” The Daily Telegraph’s headline stated, “The sheer cheek of it,” and another site proclaimed that Williams had gone skirtless at the Grand Slam event. Let’s not feign surprise. It's hardly the first time that Williams has caused a stir with her uniform. She and her sister take pride in their unique appearances on the court. At last year’s Australian Open, Williams opted to wear flesh-colored underwear. When she stretched for a fore- or backhand, it gave the impression that she was in the buff under her tennis dress. She told the Daily Mail that she designed that outfit herself. She is, after all, a fashion designer and interior designer. Williams wore the supposedly scandalous underwear the year after the Melbourne tournament banned skimpy dresses following an incident in which French teen Alize Cornet wore a see-through top during a doubles match leading up to the tourney. Unfortunately, it appears that a woman’s choice of dress often outplays her prowess on the court. Look no further than the Daily Mail report on Maria Sharapova’s dress for this year's open. Apple's Steve Jobs talks about the iPad after it was released. What does future hold for Apple without Steve Jobs? He's not telling us exactly why or for how long, but Steve Jobs announced Monday he will be taking a leave of absence from his duties as Apple's Chief Executive to focus on his health. What Jobs has told us, though, is who will replace him during his leave. Chief Operating Officer Tim Cook will be the man to fill in for the tech legend. Many are worried about Apple's future without Jobs at the helm but Cook has been in this position before; Cook filled in for Jobs during two prior leaves of absence. Those past absences came with Jobs' battle with pancreatic cancer and a liver transplant and many presume Jobs' current absence is related to his prior health problems. T.J. Holmes talks to Leander Kahney, Editor and Publisher of CultofMac.com and Author of "Inside Steve's Brain", about what the future holds for Apple in light of Monday's announcement. Jean-Claude Duvalier waives to a crowd from the balcony of the Karibe Hotel. Former Haitian dictator Jean-Claude "Baby Doc" Duvalier was taken into custody Tuesday and transported to a courthouse where a hearing will determine whether he will be arrested. Duvalier appeared from the hotel room where he has been holed up since his mysterious return to Haiti on Sunday. His hands free of handcuffs, he waived to a small crowd of supporters before heavily armed police escorted him away. Duvalier's departure from the Karibe Hotel came after a morning of intense legal activity. A judge and chief prosecutor had entered the hotel to question Duvalier. 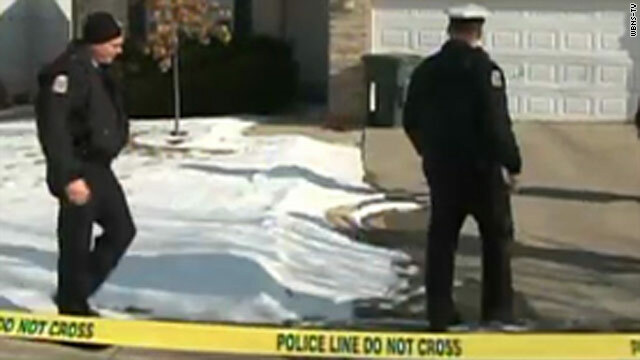 Police in Columbus, Ohio, investigate the discovery of a bloodied, naked man in a garden shed Monday. Police in Columbus, Ohio, are trying to identify and retrace the final hours of a naked, bloody man found dead in a backyard garden shed. Someone had knocked on neighbor Dennis Hoover's door at midnight, but Hoover refused to open the door because he couldn't see the man, he told CNN affiliate WBNS-TV. Hoover called 911 but police could not find anyone, the station reported. Bloody handprints were visible on Hoover's door in the morning. After daylight, Hoover followed footprints in the snow into a neighbor's yard, where he discovered the bloodied body in the shed. "He was covered (in blood). It looked like he went through a briar patch," Hoover told WBNS. "Just scratched all up." Investigators were hoping an autopsy would tell them who the man was and how he was injured. Filed under: Crime • Ohio • U.S.
At least 60 people were killed when a suicide bomber struck in Tikrit on Tuesday. After a suicide bomb - The video is graphic but shows something we rarely see: how a hospital scrambles to care for victims of suicide bombers in Iraq. It happened today in Tikrit. 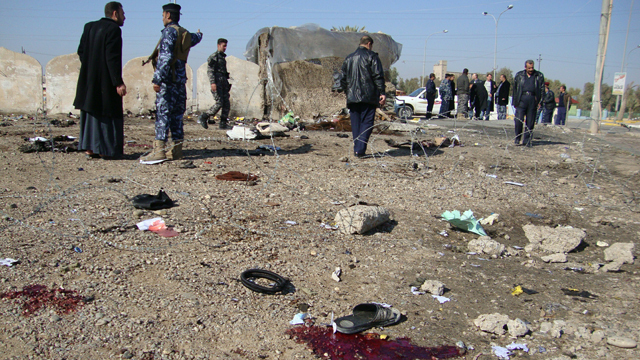 At least 60 people were killed when a bomber struck a police recruitment center in Tikrit. 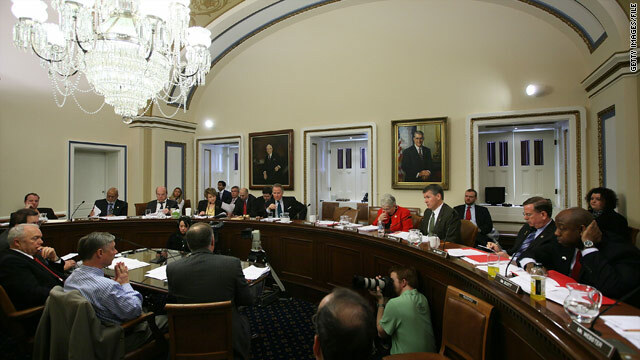 The House Rules Committee holds a markup hearing earlier this month on legislation to repeal the health care overhaul. House to debate health care repeal - Floor debate over whether to quash health care reform kicks off Tuesday in the House of Representatives. Lawmakers are expected to vote this week. The measure likely will pass the Republican-led House but is believed to have little chance of clearing the Democratic-controlled Senate or surviving a presidential veto. Republicans acknowledge it's an uphill battle to achieve an outright repeal, but they suggest they'll attempt to defund portions of the measure or eliminate specific provisions of the law in the months ahead. A few key Democrats said Sunday they might cooperate in getting rid of certain measures that pertain to business. But legislation repealing the health care overhaul won't be cheap. It will add $230 billion to the federal debt by 2021, according to an analysis by the nonpartisan Congressional Budget Office.